The Big Brother 12 houseguests will be revealed Wednesday morning on The Early Show. After the early show, come to WeLoveBigBrother.com as we go in-depth with the houseguests and also reveal our Media In-House Day coverage with complete house details. CBS is now confirming that the Big Brother 12 houseguests will be revealed Wednesday morning on The Early Show. Immediately after the cast is revealed, WeLoveBigBrother.com will also be posting additional Media In-House Day coverage and house descriptions. A few days ago, we sent our editor, Matt Maynard, into the Big Brother house to compete as an actual houseguest for a day. Matt will bring you his story and videos tomorrow following the cast reveal on The Early Show. 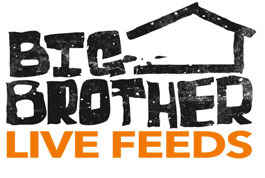 WeLoveBigBrother.com will bring you the cast reveal, other cast information, and house details tomorrow morning. Be sure to follow us on Twitter for the most up-to-date information. Use coupon code “BB12QTEARLY“ when signing up here at WeLoveBigBrother.com and save 25% by paying only $29.99 for the season. Earlybird coupon ends July 7th.